In 2016 A TEC installed a REDUCHLOR bypass-system in Titan's cement plant in Zlatna Panega (Bulgaria). In 2016 A TEC engineered and supplied four HURRICLON® cyclones to Termokimik. Cyclones from A TEC can handle high gas volumes with nearly half the diameter of a conventional cyclone and lower the pressure drop significantly. In 2016 A TEC engineered and supplied two pendulum flaps to the Italcementi plant in Couvrot. Our flaps are easy to install - even in existing meal pipes - and have a long durability due to application-specifically selected materials. Additionally they are easy to maintain. For coal mill drying gas dedusting, HURRICLON® is the only really efficient solution available.A TEC optimized the coal mill dedusting at Titan Cement in Alexandria in 2016. A TEC installed a new TAD gate and a pendulum flap at the LEUBE cement plant in Gartenau in 2016. The nearly maintenance free tertiary air duct slide gate provides the regulation of the gas flow between tertiary air duct and the kiln and our pendulum flaps avoid counter gas flow through material pipes between two stages of the preheater. 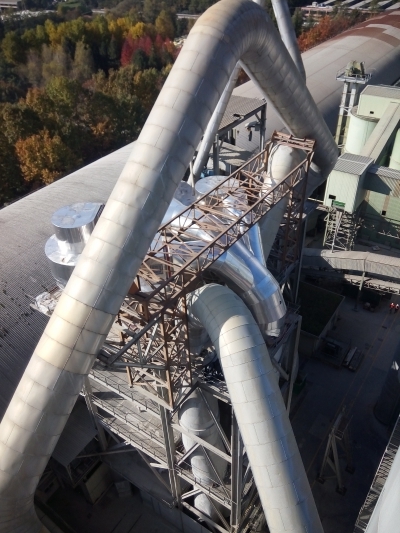 A green building in a grey cement plant – in 2015 A TEC transformed bypass dust into industrial salt with the ReduDust Process at the Holcim plant in Rohoznik. Read more. 2015 - A TEC ensured a huge fuel source diversification. We were able to substitute 60% of coal usage with biomass due to the modification of the preheater tower. 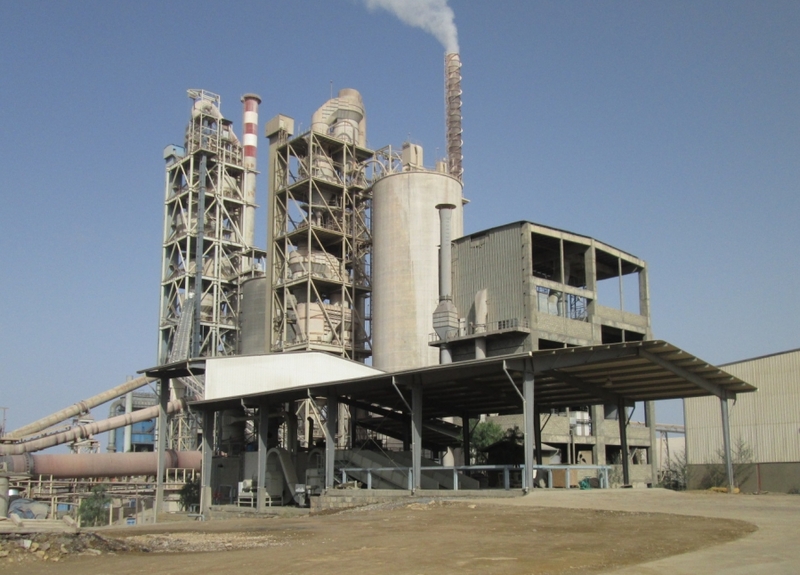 This brings economic and environmental benefits to Messebo Cement Factory. In 2015 A TEC modified all four cyclone stages, riser ducts and related equipment with the target to reduce the total preheater pressure drop by approx. 25% and increase of the production capacity by at least 8 % on sustainable basis. A TEC is Lafarge-Holcim's partner for every kind of modernization and optimization of the pyroprocess in Ternate since 2005. At last we modified the calciner orifice and installed new raw mill cyclones. The result was a reduction of dust by 66%, a reduced power consumption and a low pressure drop of the cyclones (6,1 mbar) as well as an excellent seperation efficiency of 95%. Read more.